LaVar Ball continues to stay LaVar Ball. And the latest in LaVar Ball is, mind you, very LaVar Ball. I want all my three boys to play for the Lakers. But if that does not happen, I’m telling you the story what’s gonna happen first. If they don’t take Gelo this year, I bring Gelo here to play with Melo for two years. Lonzo will be on his third year and I want let ever NBA team know that Lonzo is not going to resign (sic) with the Lakers but will go to any team that will take all of my three boys. That’s my plan. Lonzo plays best when he is with his brother. Why wouldn’t—he is a hell of a shooter. They don’t play the same position. You see how successful he was when he was with his brother? First off, LaVar clearly isn’t accounting for the nuance of NBA free agency. Lonzo isn’t reaching the open market after three years. His rookie-scale deal extends four seasons, if the Lakers want it to. And at the end of those four years, Ball will be a restricted free agent, at which time the Lakers will have the first right of refusal; they can match whatever offer sheet another team throws Lonzo’s way. Though LaVar could have Lonzo sign his fifth-year qualifying offer and then become an unrestricted free agent the following summer…in 2022. Playing out single seasons on a QO is a risk unto itself. Doing so because your current team won’t sign your siblings would be something even more dangerous. What other franchise will want to invest money in him if that becomes the status quo? Alas, we’re getting ahead of ourselves. LaVar could just be doing what LaVar does: talk, talk, talk. And even if he’s dead serious, Lonzo is his own person. He won’t be just another kid by the time this becomes a real issue. 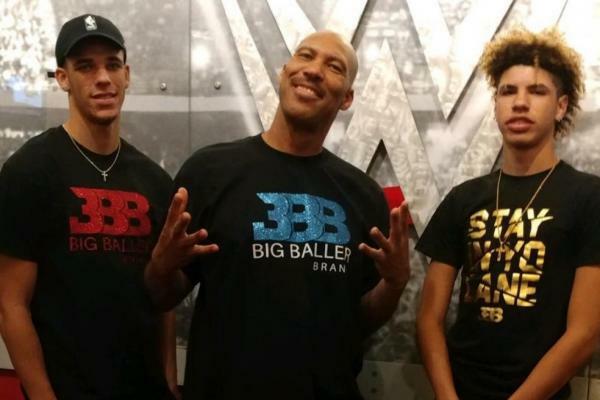 He doesn’t need to jeopardize his future in the NBA because LaVar is trying to embed his other two sons on the same team.